We’re at the point at which most everyone with even a mild interest in tech or gaming understands the power and potential of virtual reality. Headsets have been available for about two years now, and people have watched closely as the industry has evolved to include better games and more impressive tech. What’s still clear if you take a closer look however is that there remain untapped markets where mobile VR in particular could excel in new and exciting ways. The idea here is that it’s really not particularly difficult anymore for developers to produce VR (or AR) experience that can easily be downloaded to mobile devices and enjoyed by millions of users. So, what are some of those untapped markets? Well, these are certainly a few that stand out. When you look at the selection of games available for major VR and AR devices, the lack of sports focus is almost shocking. Indeed, a whole site devoted to VR fitness did a write-up of some of the top sports-based VR games last spring and half of them didn’t really have to do with sports at all (and the ones that did focused on golf and skiing). Where are the baseball, basketball, football, soccer, and tennis games, you might ask? It’s possible developers are wary of these kinds of games in VR because they never really broke through on systems like the Wii. But VR is different, and at some point developers will recognize the potential. Full-on sports games might be tough, but sports competitions – say, a home run derby in baseball, or a shooting contest in basketball, or even a penalty shootout in soccer – are practically made for this medium. They’ll be along soon. Here too it’s almost astounding how few games have come out. Aside from CasinoVR, an early attempt at a poker game, we’ve practically seen nothing from this genre. Don’t for one moment think that developers aren’t working on these games though. Already digital casinos have made great strides in the last few years, piggybacking on HTML5 to take advantage of the incredible processing power on modern smart devices and making their games deeper, better, and more widely available. 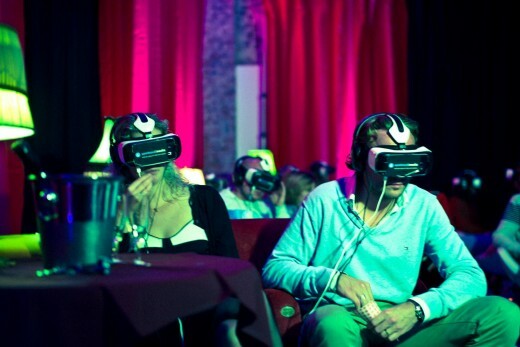 Just as casino games moved from browsers to mobile, expect a transition to VR and AR systems. No one seems to be quite sure of how films are going to make their big move into VR (if indeed they do so). It’s probable that watching entire films in VR will feel a little disorienting, not to mention it would drastically change the cinematic experience. Instead, we should probably look forward to playable movie experiences that allow us to work our way through certain scenes or bonus features – almost like games within films. It’s not such a mystery as to why this isn’t happening too much yet, because it was attempted with the film The Martian and got a disastrous response. But in time some studio and team of developers will nail this concept, and likely cause an avalanche of film-based experiences. New Line Cinema’s “IT” a Monster Hit at PH Box-Office! WATCH: HMD introduces new NOKIA phones back to the Philippines! The OPPO F3 Plus Now Comes in Black! Razer Buys Nextbit, Makers of the Robin Smartphone. OPPO Releases the OPPO A39! Tribe PH Reaches One Million Downloads! 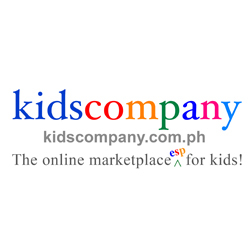 Check Out GREATTOYSONLINE.COM’s Biggest Branch At Annapolis Greenhills! The HTC VIVE dropping in stores April 2016!